Great Job to Samantha Lambrigtsen for being selected to 2A-1st Team All State! Sam has scored over 2000 pts in her high school career and broken the all time scoring record for her school! Currently Sam is still unsigned, if you would like more information please contact John Penney. Congrats to Lexi Macomber on being selected 1A- 1st Team All State as a Junior. Good luck to the Eastland Cougars tonight! Keep chasing your dreams, keep working hard! 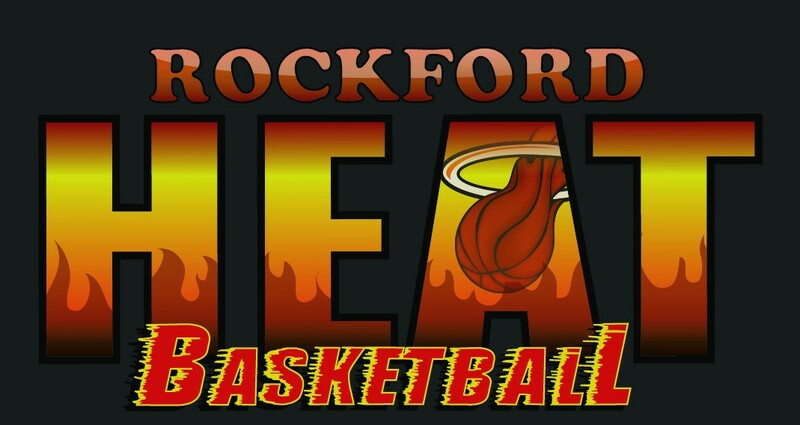 All Rockford Heat tryout info is now posted for all grade levels. Rockford Heat is also Happy to announce a free seminar for “College Recruiting Simplified”. If you have any questions please feel free to email or call. Rockford Heat will be sponsoring a tutorial on the recruiting process for athletes wanting to play college sports. 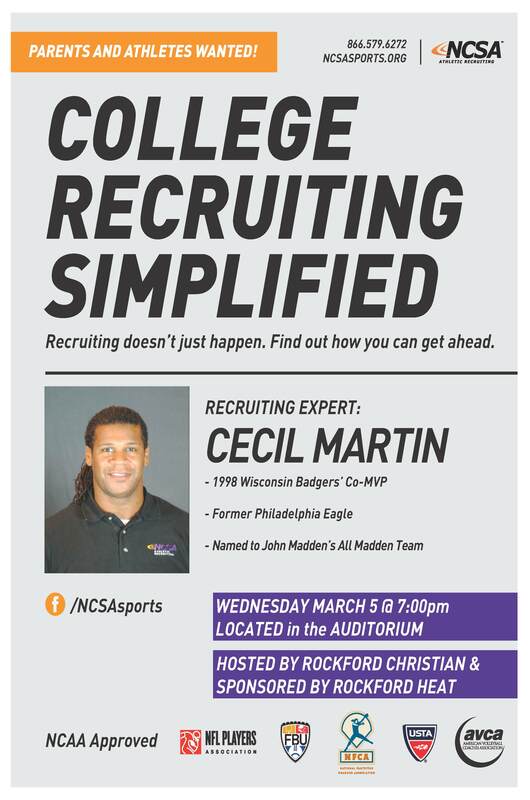 NCSA will have Cecil Martin as the speaker and will offer great advice on what the next steps are in the recruiting process. There is no cost to attend. This is open to the public and open to all athletes of all sports. Heat Player Samantha Lambrigtsen Scores 2000pt! 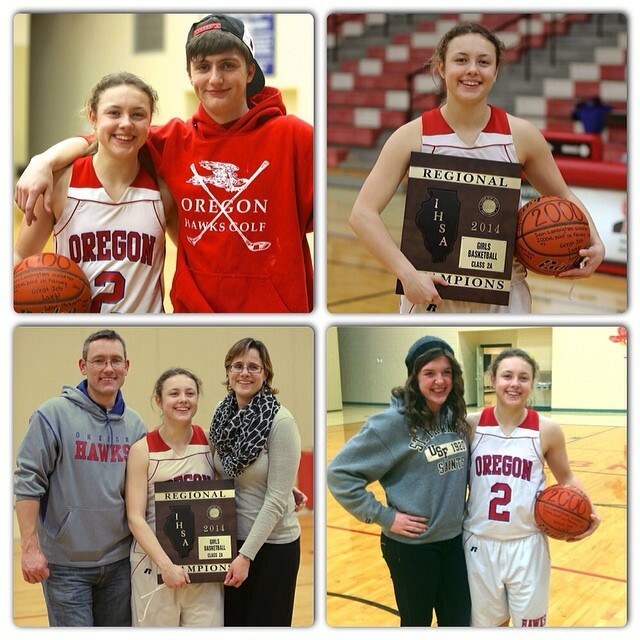 Rockford Heat would like to send a HUGE Shout out to Samantha Lambrigtsen for scoring her 2000th career point last night and also winning a Regional Championship! Great Job Sam, keep up the hard work! Rockford Heat Player Cracks Top 10 For Free Throws! Shout out to Shamara Glover(Guilford High) for putting her name in the Top 10 for IHSA free throw shooting in a game. Shamara drained 22 of 27 from the free throw line the other night against East! Great job and Keep up the hard work! 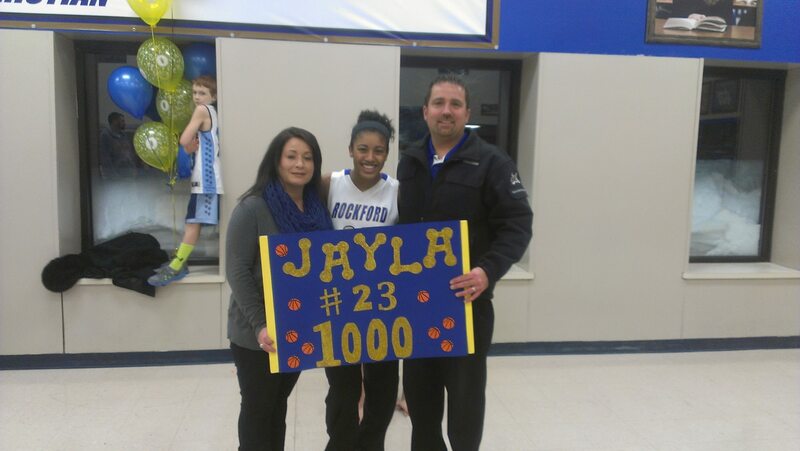 Rockford Heat Player Jayla Penney Scores 1000 Points! Congrats to Jayla Penney for scoring her 1000th point last night as a Junior! Jayla has been working extremely hard in the off season and has been tearing up the court this year averaging around 17 pts a game! Great job and Keep up the hard work! Keep chasing you dream to play college ball!